We anticipate and celebrate couture week in Paris for its outside-the-box fantasy. Models as sea creatures, insects or aliens. 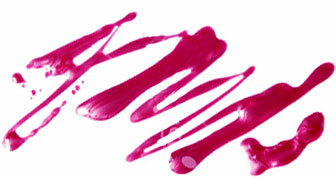 Part of the fun is that we never know quite what to expect and how it will influence a designer's collection. The makeup features the occasional feather, antler and prosthesis. But we rarely - if ever - see models with embellished eyes. And by that we mean eyeballs. 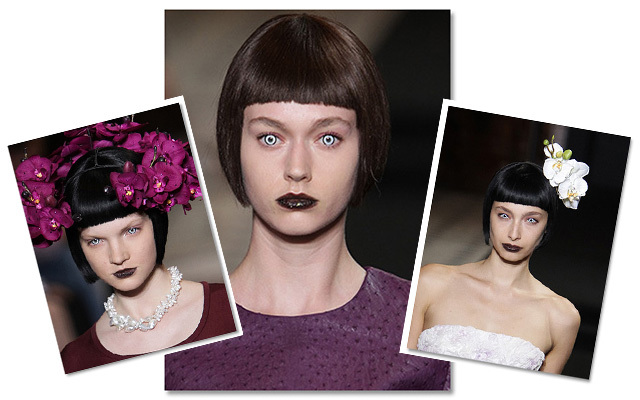 At the Didit Hediprasetyo fall/winter 2012-2013 couture collection last week, models paraded down the runway with iridescent icy stares, courtesy of contact lenses. We couldn't help but notice the similarity to Marliyn Manson (below) or the zombies from horror movies our brothers used to force us to watch in elementary school. Paired with jet-black 1920s bobs and vampy lipstick, the dramatic touch gave us a whiff of cool, even if we were ever-so-slightly creeped out by the whole thing.